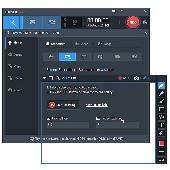 Employee Desktop Live Viewer is the most appropriate solution for computer screen recording to know what employees exactly do in working hours. The tool allows remote management of all monitored computers. aSkysoft Screen Recorder is a screen recording software to capture video, sound, pictures and any others you can see on your desktop screen. And you can record audio or not into the video from any source like microphone, line-in, speakers, CD etc. Screen Recording Suite provides you with a simple yet powerful tool to create your own tutorials and presentations by producing a recording of anything that happens on your computer’s screen. ScrRecX is an ActiveX component. It allows you to incorporate screen recording capabilities into your own applications. 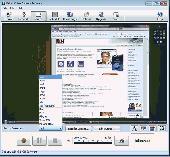 It records videos as AVI or WMV video files, supports various video/audio codecs/profiles, and much more. Basic Screen Recorder is a FREEWARE screen recording software which can record any on-screen activity of your windows desktop along with audio and save the recording as a compressed AVI file directly and convert it into flash format. Debut is a free mac screen capture software. Record videos from your screen or capture screenshots. With Debut you can capture your entire desktop or a selected portion. 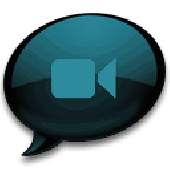 Save the image or recorded video as avi, flv, wmv and other video file formats.